The reduction of the number of persons without identification benefits the community as a whole by making available economic, health, and housing opportunities to the marginalized. It is a financially sound and effective method to address one of the fundamental issues of poverty: the lack of provable identity. We appreciate any support that you can provide through your service, your resources, and your prayers. 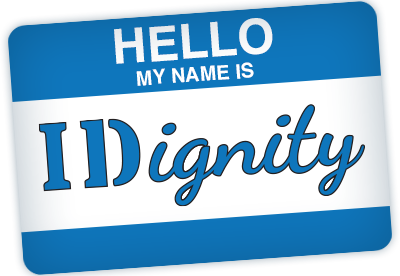 On average, it costs IDignity approximately $250 and four hours of volunteer time to obtain all identification necessary for one client to become self-sufficient, equating to a total cost of about $50,000 per month. We have been honored to receive awards from the Points of Light Foundation, The Walt Disney Company Foundation, Bank of America’s Charitable Foundation, the Central Florida Women’s League, the Universal Orlando Foundation, Love Orlando, and Heart of the City. IDignity’s attorney, Jackie Dowd, received the 2014 Jane Shaeffer Outstanding Homeless Advocate Award from The Florida Bar’s Public Interest Law Section, and our Executive Director, Michael Dippy, received the 2010 Central Floridian of the Year and the 2012 Richard Cornuelle Award for Social Entrepreneurship. Stewardship and transparency are important to us. You can view our Form 990 and our profile within the Central Florida Foundation Nonprofit Search, a subset of GuideStar. Join us in our endeavor to restore dignity and hope by providing identification. We are thankful for the dozens of allies who have supported IDignity via in-kind donations, event sponsorships, grants, financial contributions and volunteers, as listed below.